A excellent tasting Potato Salad. For when time is short, and large quantities are requires. This is my "go-to" recipe for large parties, catering events, and large group potluck meals. Each batch serves about 20 people, in a buffet line, when other side dishes available. This is an Original Rick Beach recipe. 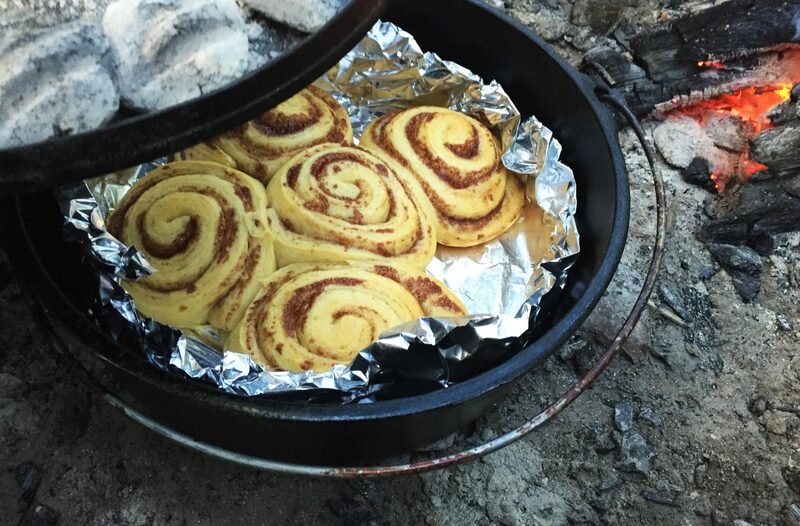 A single 5 lb batch will half fill a 1/2 size stainless steel steamer tray. A double batch will fill a 1/2 size stainless steel steamer tray. Once mixed keep refrigerated or chilled with ice at all times. Mix all the ingredients except half the Paprika and the Diced, and sliced Hard Boiled Eggs. Mix until uniformly distributed. Add the Diced Hard Boiled Eggs, (Don't add the sliced eggs yet) Gently fold until uniform. But not so much the bits of cooked egg yokes disappear. Turn the mixed Potato Salad into a clean bowl or stainless steel serving tray. Garnish the top with the sliced egg. Sprinkle with the second half of the Paprika. Be sure to keep refrigerated or chilled at all times. If mixed in stainless steamer trays, and you use the stainless lids, these can stack in the refrigerator. For serving we use our steamers unplugged with a layer of ice dumped in the bottom. The trays of potato salad can be placed in on top of the ice. Additional trays of ice can be placed on top of the potato salad. Kept chilled until right before serving. 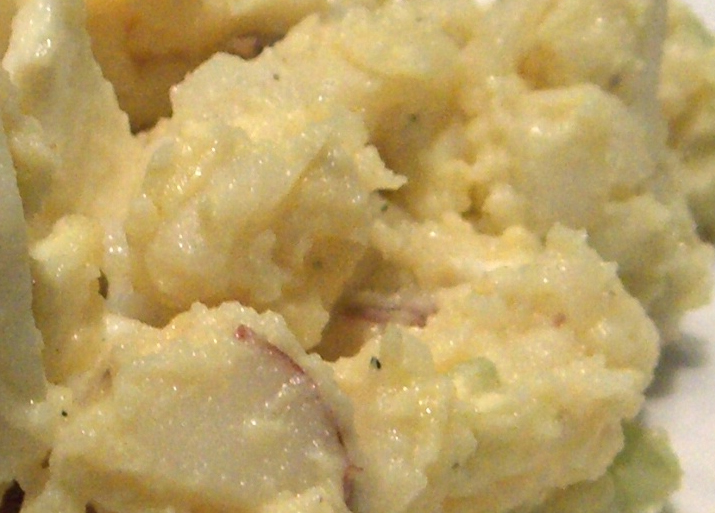 Potato Salad at a picnic, or even inside the house, left to get warm. Can have unpleasant and even deadly consequences. Practice good food handling safety. If I see someone else's potato salad [or deviled eggs] and it isn't chilled, not sitting on ice to keep it cold while serving....I pass.